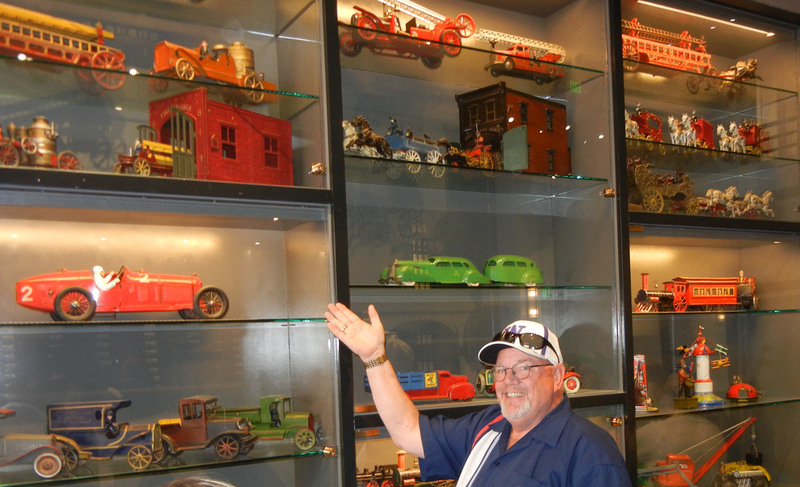 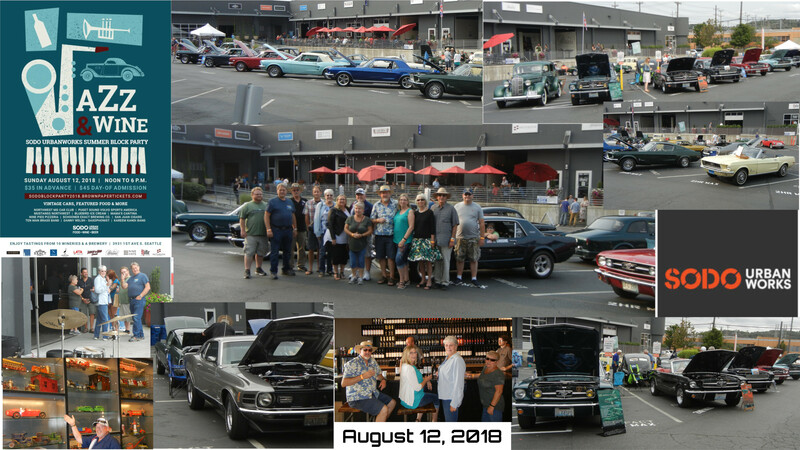 Our ten Mustangs met at the Sodo area facility which consists of 9 wineries tasting rooms, a cigar manufacturing facility, a brewery and restaurant, and a pizza restaurant. 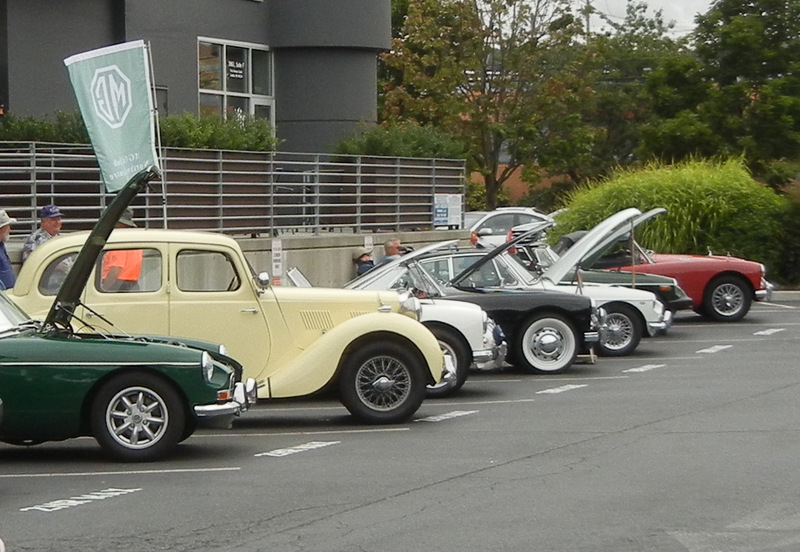 We were joined by 8 MGs from the vintage MG Club, 5 vintage Volvos from the Volvo Club, and 1 1936 Dodge from the Chrysler Club. 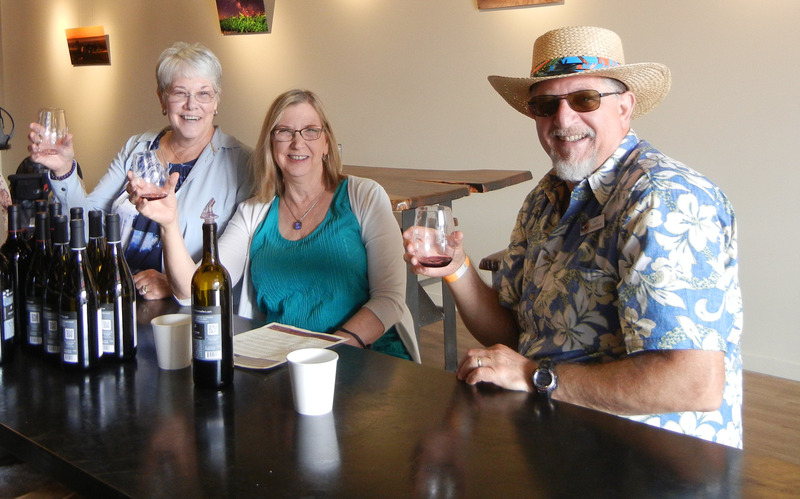 We parked our Mustangs in year order, picked up our wristband and wine glass and proceeded to mingle with the other groups and spectators and enjoy the wine tastings at the various wineries tasting rooms. 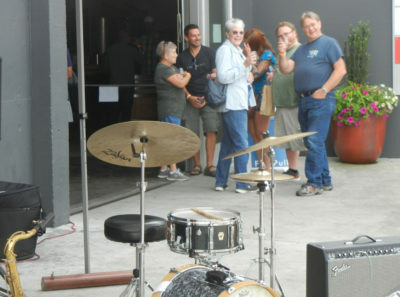 Throughout the day we were entertained by the music from some jazz bands. 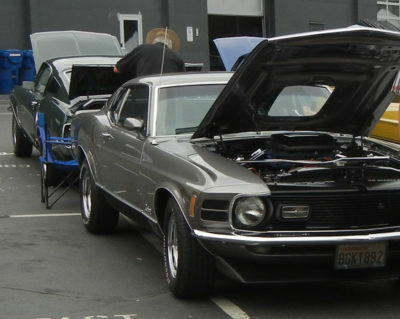 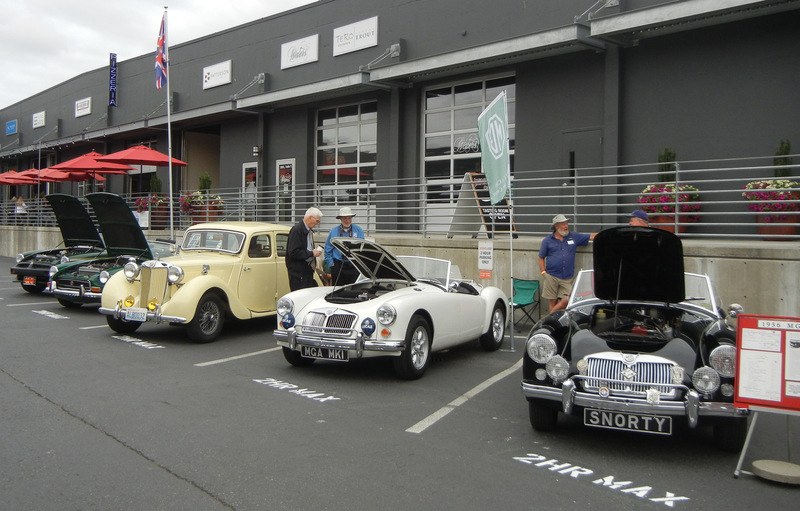 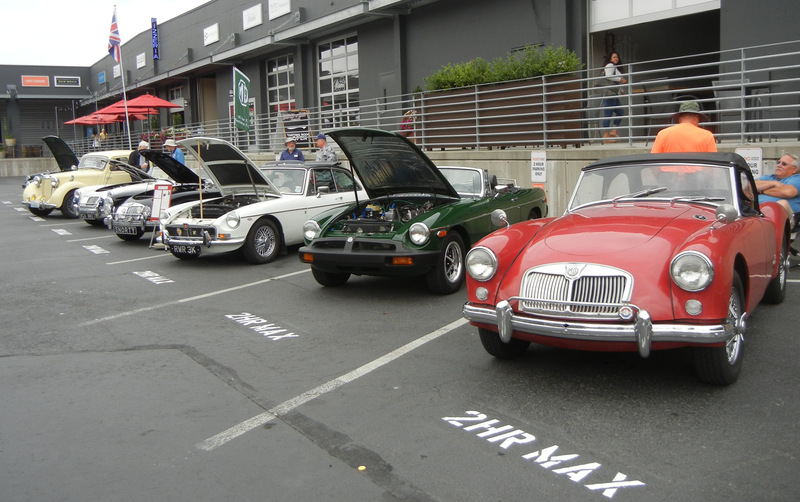 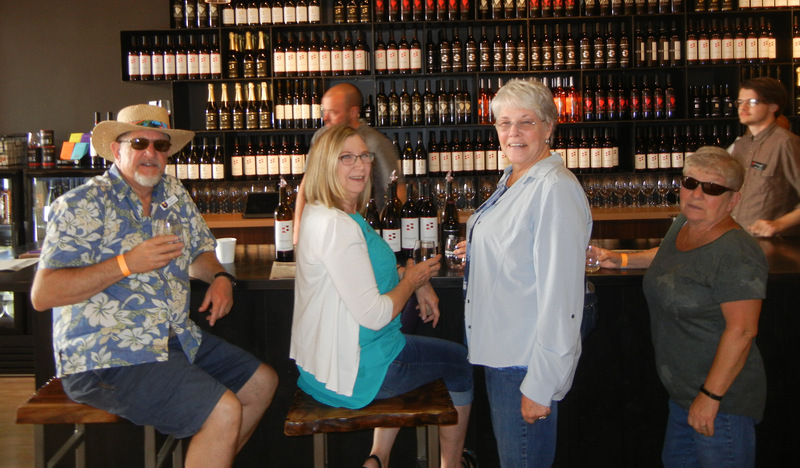 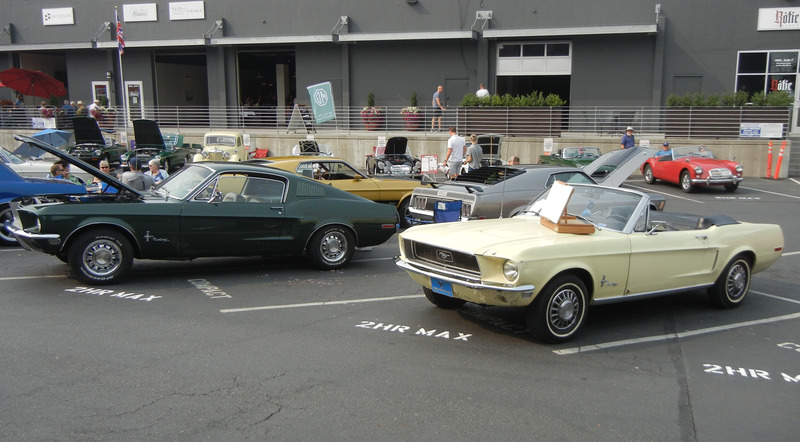 It was the first time that vehicles had been invited to participate and it provided the paying attendees the opportunity to check out the cars between their wine tastings. The feedback from the show officials was positive and we may get the opportunity to participate again next year. Everyone in our group said they would do it again. 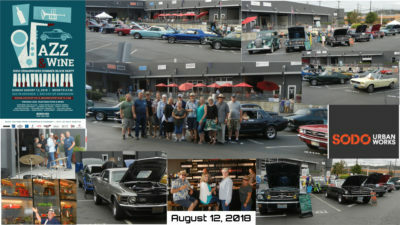 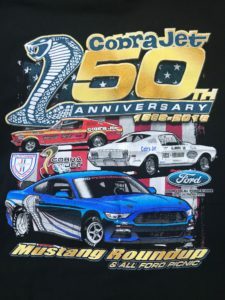 Lois Robinson 65 fastback, Connie & Pat Trine 65 convertible, Liz Greene 66 coupe, Ron & Alicja Baker 66 fastback, Nancy Atkinson 67 convertible, Ron & Rich Foster 68 coupe, Jeff & Kathleen Schonbrun 68 convertible, Scott Robinson 68 fastback, Mike Mullen 70 Mach 1, and Ernie Greene 73 Mach 1. I want to thank all of them for sharing their Mustangs with the people at the show.